This is the second post in a three-part series on transformational leadership. Today I will ask you to take a look at three types of leaders and assess your leadership tendencies. 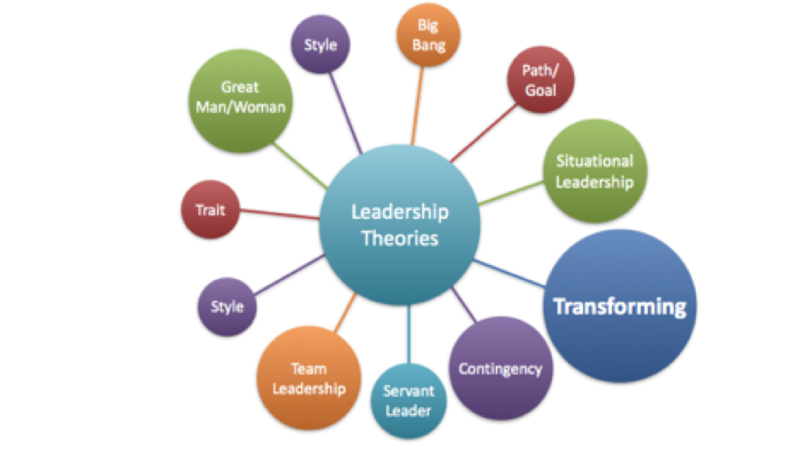 Only one of these leadership types can be a transformational leader. Leadership, as a discipline, is a new kid on the academic block. Despite its infancy it has been readily championed, researched, discussed and debated. Some seek to bring clarity by reducing its complexity. John Maxwell is fond of declaring, "Leadership is influence, nothing more and nothing less." While Maxwell captures the essence of leadership, taken in its entirety leadership is, as John W. Gardner notes, "not tidy." Leadership is as multifaceted as a diamond. At times it is as complicated as rocket science. For a moment, consider all the books, the definitions, the theories, and the programs that set for ideas about leadership. The Leadership Books . . . There were more than 1300 book on leadership published In 2015. The online giant, Amazon, offered more than 57,000 leadership titles to peruse in 2016. Rost also noted that many of the books written about leadership never define the concept. This is true. Next time you pick up a volume on leadership see if the author defined the term or simply assumed it. The Leadership Definitions . . .
"Leadership is mobilizing others toward a goal shared by the leader and followers." Garry Wills. Despite a dizzying sample of definitions, more continue to be produced. Why? Because leadership is a constant effort in a changing context it looks similar and different every day. The Theories Of Leadership . . . Scholarly theories abound. This is due to the incredibly complex nature of leadership. Yes, "leadership is influence," but there are a variety of factors that summon it, a complex web of people who wield it, and a mountain of elements that have a bearing on it. Here is a sample of the various system of ideas offered to bring clarity to the subject of leadership. MBA programs are ubiquitous on the college and university campus. The need for better leaders coupled with our increasing fascination with the subject of leadership has also led to a litany of leadership programs. Educational big dogs such as Harvard, Duke, Wharton, and Northwestern offer executive leadership development programs in addition to their degree and course plans. Leadership development no longer starts nor stops at the university. GE claims the oldest corporate university in the United State. GE's Crotonville management training center has become a model for many companies. Agencies such as The Francis Hesselbein Leadership Institute are equipping leaders on various levels. Conferences abound and leadership development programs are becoming commonplace in high schools and churches. We do know leadership when we see it. We can agree with Rost that leadership is an influencing relationship between leaders and followers who intend real changes for their organization, whether that be a church, a business, a school, or a neighborhood. But not every leader looks the same. There are three kinds of leaders. Laissez-Faire comes from the French, “to let the people do as they choose.” Laissez-Faire leaders don’t interfere. They let things take their own course. This is rarely a good plan. Consider Eli (1 Samuel 2:12-36). Eli and his sons were responsible to serve as priests for God. Though his sons were wayward and dishonored God greatly, Eli did not chastise them. He simply let things run their course with his sons and with the nation. Eli rebuked his sons, but he did not go far enough. He did not replace them. God asked incredulously, "Why did you honor your sons above me?" (2 Samuel 2:29). Eli let things run their course. The results were deadly. The nation suffered and God judged both Eli and his sons. One has to question if a Laissez-Faire leader is really a leader at all. Leaders do interfere. They question. They challenge. They rally. They influence. They bring change. Transactional leaders accept the existing structure. Their motto: "Don’t change it. Learn to operate in it" (Gardner, 122). Transactional leaders are fond of playing “let’s make a deal.” They are like King Rehoboam. Rehoboam said to his people, “You give me your devotion and in exchange for that I am going to give you just what you need to get by." His people wanted no part of that. They rebelled. His kingdom divided. The nation was never the same. Transactional leaders trade money for service, kindness for obedience, and employment for a task. Transactional leaders give only what they have to and only when they get what they want from those they "serve." Transformational leaders create a metamorphosis within the organization. They are like Nehemiah. Nehemiah set an example, challenged the status quo, gave vision, empowered and encouraged. He tackled the tough stuff, loved his people, and did not flinch when opposition arrived. What was the result of Nehemiah's leadership? Transformation! Hope was renewed. Walls were rebuilt. The nation was reborn. Are you a Laissez-Faire Leader (Eli) — "Let's just let things run their course and see how it goes." Are you a Transactional Leader (Rehoboam) — "You give me your devotion and then I will help you." Are you a Transformational Leader (Nehemiah) — "I am here to serve you and together we are going to move things forward." If you tend toward laissez-faire, you can begin to take charge. If you find yourself making leadership trade-offs you can become more selfless. If you are laboring to bring transformation you can get better. In our next post we will examine five specific ways your leadership can become more transformational. Yesterday we looked at Winston Churchill and saw how his transformational leadership changed the course of history. Read about it here. Tomorrow we will look at five ways each of us can become more “transformational.” Read it here. Read the three parts in full here. "Leadership is not tidy" from John W. Gardner, On Leadership. New York: The Free Press. 1990. Page 22. "Leadership is the process of persuasion ..." from Gardner, On Leadership, page 1. "Leadership is a potent combination of strategy ..." from Leadership Through The Ages, by Rudolph W. Giulani. New York: Miramax Books. 2003. Page 2. "Leaders provide a mental picture ... " from Launching A Leadership Revolution by Chris Brady and Orrin Woodward. Flint, MI: Obstacles Press, Inc. 2012. Page 5. "Leadership is mobilizing others ..." from Launching A Leadership Revolution, page 5. "Leadership is getting others to want to ..." from Launching A Leadership Revolution, page 5. "Leadership is the art of getting someone else ..." from Launching, page 6. "Leadership is the influence of others ..." from Launching, page 7. "Never have many labored so long ..." from Leaders: Strategies for Taking Charge by Warren Bennis and Burt Nanus.